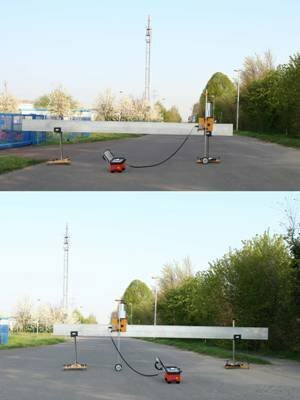 The Profilograf is a test device to evaluate the transverse profile of the surface of roads (in case you want to evaluate the longitudinal profile you need a Planograf). 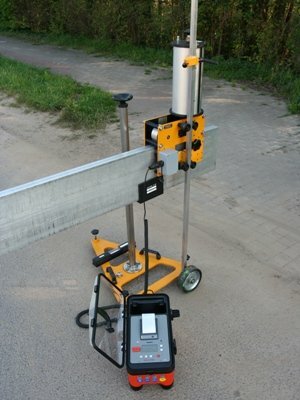 The Profilograf – by Koehler Fuess – and the standard cross profile meter (SQM) are static versions of the straightedge. 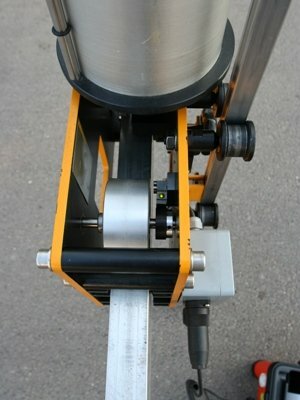 A jockey wheel takes up the entire profile. The profile is recorded graphically. We digitize your profilograf. The electronic unit AX®03 is designed as a retrofit for existing Profilograf devices. 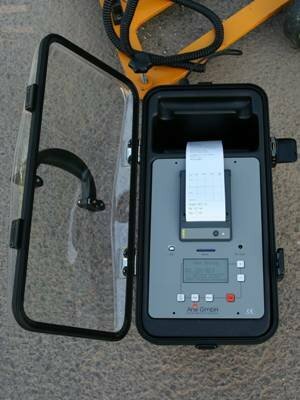 The recording of the vertical deflection (deflection of the feeler wheel) – and the horizontal displacements (displacement measurement of the trolley) – is done electronically and stored at SD card. The rut depth and the fictional water depth are evaluated with the PC and Microsoft Excel®.